The Browne DFW14 French whip is constructed of stainless steel for durability and scratch resistance. 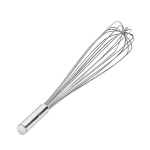 The wires on the whip are heavy duty and will not easily bend when whipping airy egg whites, meringues, and more. 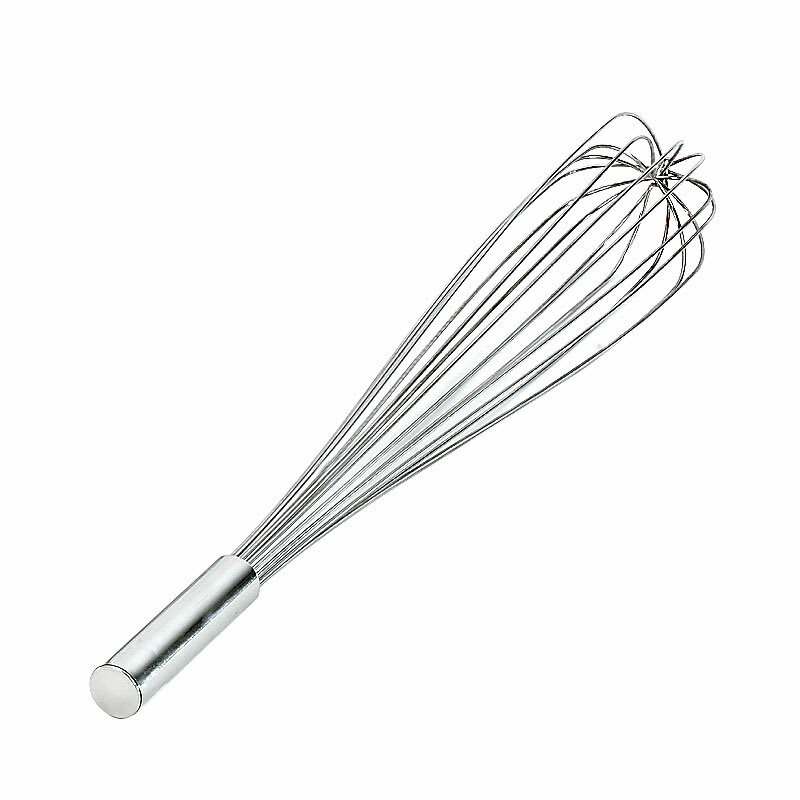 This utensil is ideal for mixing sauces, hollandaise, and more. Both ends of the handle are welded on to prevent liquid and food debris from getting inside. The Browne DFW14 French whip's handle is balanced since it is filled with epoxy; this also prevents contents from getting inside.